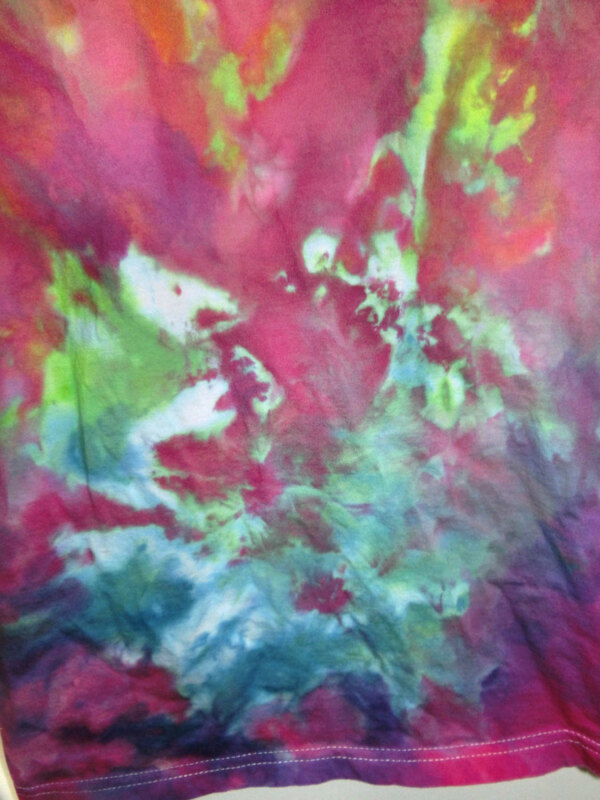 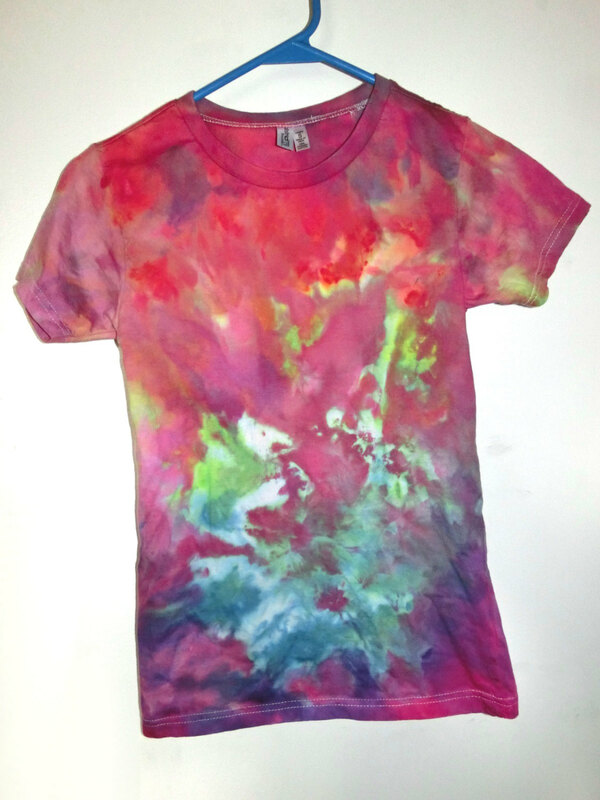 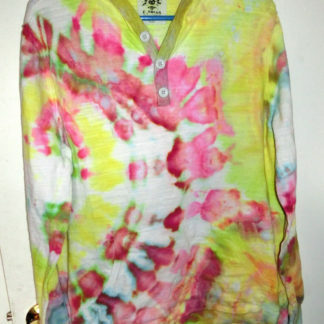 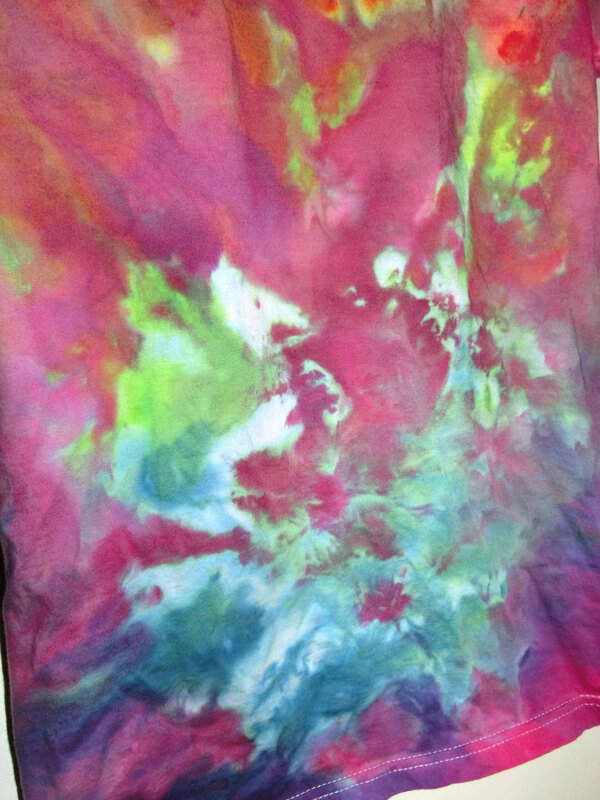 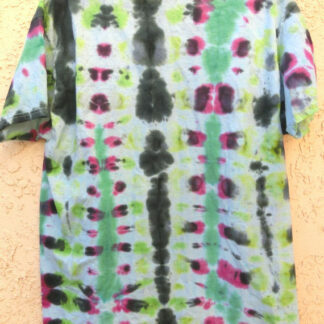 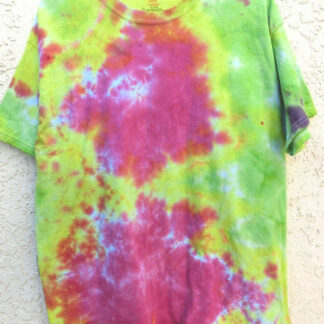 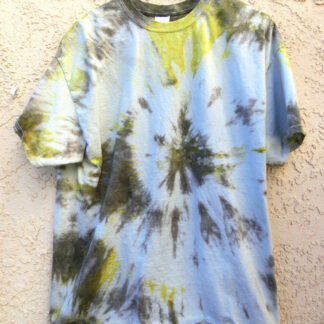 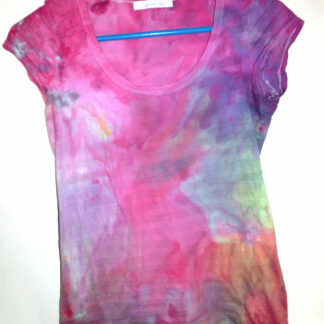 This groovy hand-dyed small tie-dye t-shirt is made of soft, pre-shrunk & pre-washed organic cotton and colors are guaranteed not to bleed! 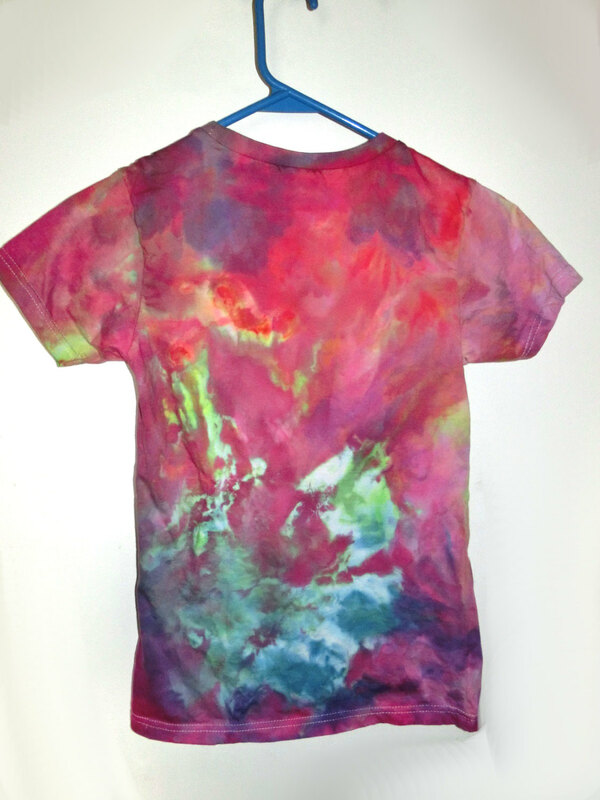 Rainbow shades mingle with a geode-inspired burst of bright blues and greens sparkling out from the belly region. 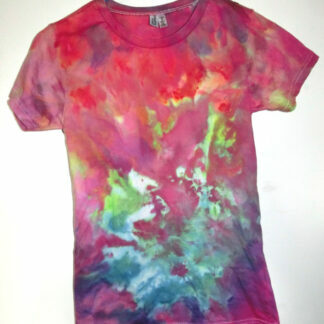 100% preshrunk District Threads brand cotton tee.